Subject: I wish we could. I wish I could look at a picture of you and not feel anger. -Cleaned out everything I had in the basement. -Currently doing laundry that I've neglected for months. -I have a friend group now that I can confide in, laugh with, and supports me. And as far as my other goals besides getting the car, a full time job, and moving out. I also want to lose weight when I get a steady income and car situation to get to a gym. Then you'd know all the things I just listed. I wish I could think of visiting you and not get overwhelmed with anxiety and fear. I wish I knew how to deal with my feelings without shutting down. I wish I knew how to express my feelings without melting down. I wish I could think of NJ without thinking of hospitals, tears, and cigarettes. I wish I could look at you and smile. I wish I could say I love you and mean it. I wish that when you pass I'll feel something other than relief. I wish that when you walk me down the aisle I won't feel grief. Then you'd know how I feel. I wish I didn't have nightmare's about you yelling at me in the living room for hours about how I fucked up. I wish I didn't cry in the morning after waking up from them. I wish that when I have body issues some days that it wasn't your voice telling me how fat and lazy I am. I wish that when I have self esteem issues some days that it wasn't your voice telling me how I failed and that I won't amount to anything. I wish I could see your name pop up on the phone with a ring and not suddenly feel hurt. I wish I could have believed you when you said you'd never actually hit me. Then you'd know how I see. I wish I felt more than apathy. I wish I could treat my feelings with the same respect I treat other's. I wish I could trust people close to me more than I do. I wish I didn't see every small mistake or flaw as a huge failure. I wish I could see a father and daughter and not feel a stab in my chest. I wish I didn't cry until I had no tears left. I wish I didn't isolate myself. I wish I spent less time staring at the white bumpy ceiling with tears rolling towards the ground. I wish we could talk without feeling like neither one of us are heard. I wish we could talk without me sitting mute. 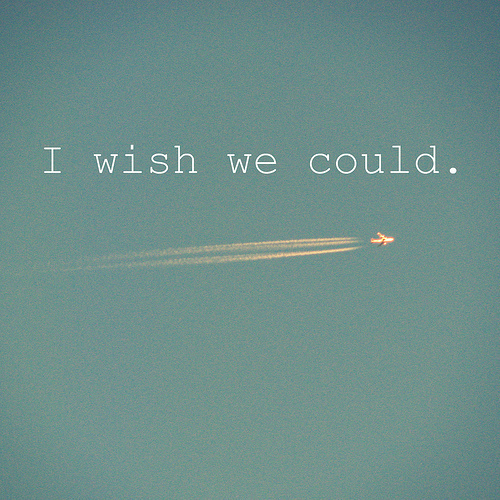 I wish we could talk without you screaming. I wish you hadn't cut up my debit card and made me dig for it through the trash. I wish you hadn't hit me when I was young. I wish you hadn't called me degrading names. I wish you hadn't brought so many women home. I wish we could have bonded over more than just comics and movies. I wish I could have made you proud. I wish that I could have been enough. I really tried Dad, I was going through a lot more than you know. I had to be strong because every time a woman left things got worse, and they only got better when you got a girlfriend. I had to be strong because I had to let it go for your sake. I had to be strong after being hurt by a man in the bathroom. I had to be strong when we moved. I had to be strong after the divorces. I had to be strong when I hurt myself over the past year(s). I had to be strong to not do it again. I had to be strong when you screamed at me. I had to be strong because you needed me to be. Now I have to be strong for myself, and I don't know how to do that. I wish we could talk because then you'd know my goals. I wish we could talk because then you'd know my life. I wish we could talk because then you'd know how I feel. I wish we could talk because then you'd know how I see. I wish we could talk Dad because then you'd know me.